New evidence suggests that mothers infected with malaria during pregnancy, with parasites that have anchored themselves to cells within the placenta—placental malaria—may be a double-edged sword for their newborns. A group of scientists led by investigators at the Fred Hutchinson Cancer Research Center has just published data suggesting that a mother's cells could directly act as part of her child's immune system, even after birth, changing the infant's risk of later infection. Most babies carry a very small number of foreign cells acquired from their mothers, on the order of a few maternal cells in every 100,000. However, the researchers found that babies born to Tanzanian mothers infected with malaria during pregnancy and whose infections had traveled to their placentas had evidence for far more maternal cells on board at the time of their births—on average about 1%, with a few cases even higher than 10%. To their surprise, when the research team looked at the health records of the babies, they found that those with higher levels of maternal microchimerism were twice as likely to be infected with malaria during childhood. Yet, amazingly these children were only half as likely to get sick from that infection, suggesting that the cells transferred from the mothers might confer some protection against the disease. The researchers also looked at levels of maternal DNA in the babies' umbilical cord blood in this study. This is representative of the level of maternal microchimerism the children had at the moment they were born, the researchers noted, although it's not known how long that level may persist after birth. Women with placental malaria gave birth to babies with higher-than-average maternal microchimerism, and babies born to mothers with inflammatory placental malaria had even higher average levels. 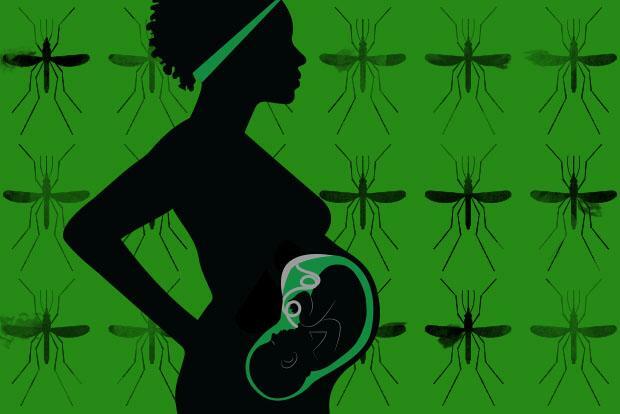 The investigators were excited by their findings and are optimistic about future studies, where they plan to explore how the maternal and infant cells interact to affect future malaria risk.